This was such a cool book. The authors took the concepts of magic and the afterlife and completely reinvented both to create a thoroughly unique and fascinating world unlike any other I’ve ever read. The book held my attention and made me desperate to learn more about this mysterious society. The main character, Jo, is an exceptionally talented hacker and the book opens with her working her biggest hack yet. There’s no shortage of action in the first scene, which immediately caught my attention and made me want to know what happened next. Unfortunately, the events that lead to Jo being initiated into the Society and the outcome of her wish is rather sad, but watching her eventually find her purpose within her new world is all part of the enjoyment of reading this book. 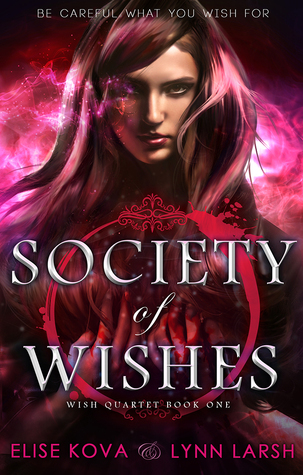 The Society kind of reminds me of what we would think of as purgatory in the sense that this is after their earthly lives are over, but instead of it being a place of torment, it’s where a group of men and women with ancient magic use their individual gifts to help grant wishes of people in the living world. 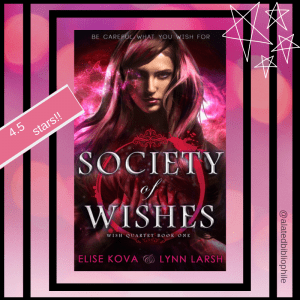 Due to the nature of the wish, something has to be exchanged–for instance, Jo wished for her best friend’s life to be saved, therefore giving up her own life (read: existence) in the process. There’s a huge mystery shrouding this novel, particularly regarding Snow–the leader of the Society–and Pan, a strange, not quite human woman whom Jo is extremely wary of, though she can’t figure out why. I was hoping a little bit more would be revealed about these two, but alas, my questions are as of yet unanswered, and this part of the series ends on a slight cliffhanger. 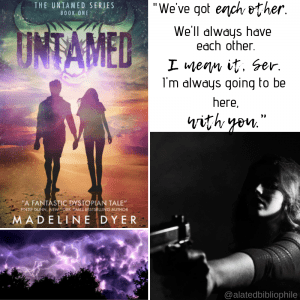 Thankfully, at the end of the book, there’s a note regarding the prequel novella, which I got for free by signing up for Elise’s newsletter, and I’m not gonna lie; I’m going to devour the heck outta that thing. Snow captivated me from his first appearance in this book, and I can’t wait to get to know more about him and his story. I have a few ideas from what I read of the blurb, but I can’t wait to read it nonetheless. There are some major sparks flying between Jo and Snow. I can’t wait to see what progresses between these two; I think there could be an incredibly interesting and sweet relationship between them. Jo is the only one who stands up to Snow and challenges him, and Snow is surprisingly gentle with her in a way he isn’t with anyone else. There were a couple of sweet, swoony moments between them that I loved. I seriously loved this book. The fantasy, mystery, a little bit of romance, and the different personalities of the characters–all of it was great. There were a couple moments where I kind of wanted to facepalm at Jo’s choices, but I couldn’t necessarily fault her for her reasons behind them, either. In any event, this was a fantastic book and I can’t wait to read the next one in the series!